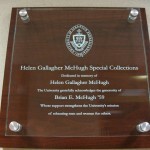 On Tuesday, September 2nd, the Weinberg Memorial Library hosted the dedication of the Helen Gallagher McHugh Special Collections. 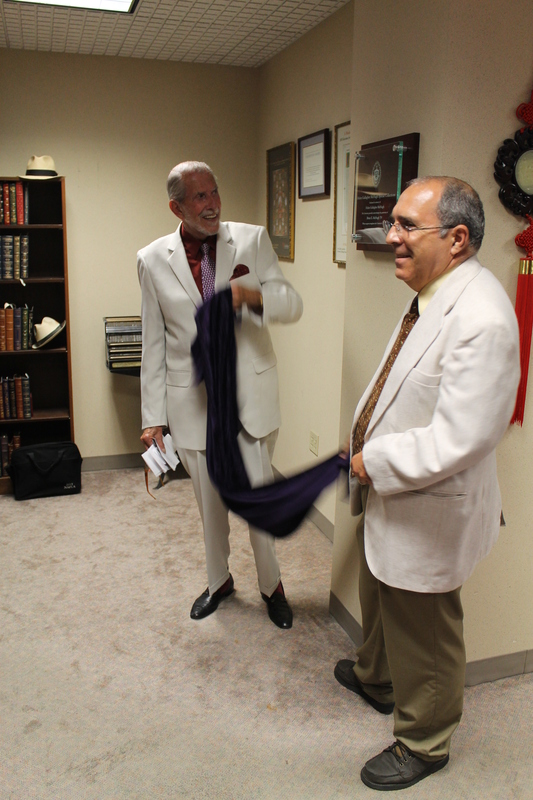 The dedication ceremony included comments by Dean Charles Kratz, an invocation by Rev. 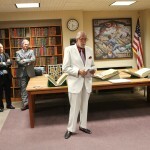 Ronald McKinney, S.J., and remarks by Vice-President for University Advancement Gary Olsen, followed by the unveiling of the dedicatory plaque by donor Brian McHugh ’59 and Special Collections Librarian Michael Knies. 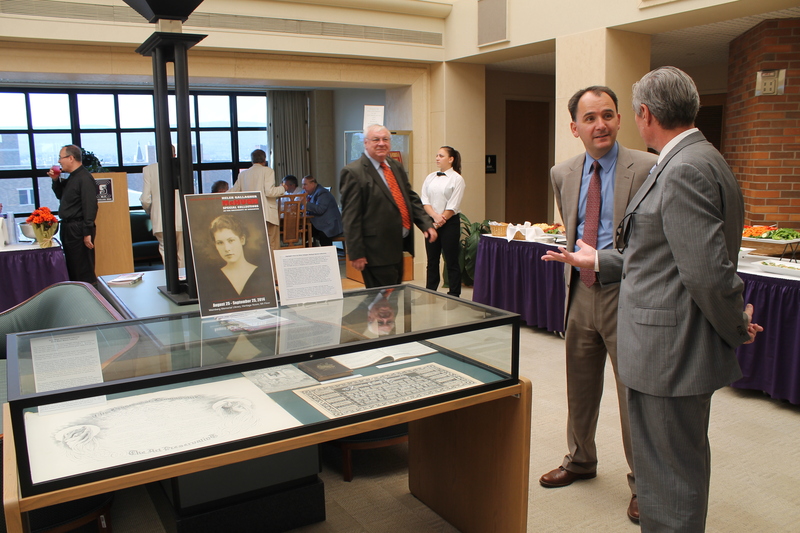 Mr. McHugh provided remarks about his mother, for whom the department has been named. Mrs. McHugh was born in Kingston and resided in Plymouth. Mr. McHugh is a graduate of Kingston High School. 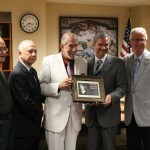 He attended the University of Havana, Cuba, and earned a master’s degree in psychology from The University of Scranton in 1959. 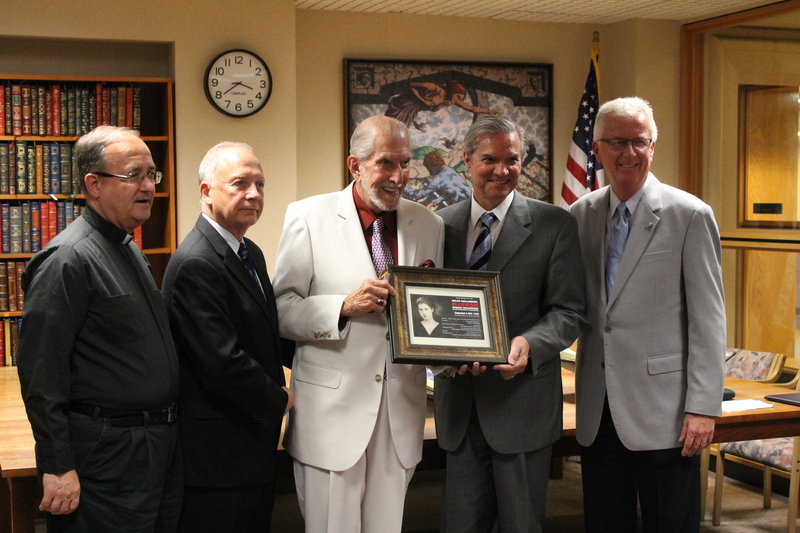 A resident of Kingston, Mr. McHugh is a Korean War Veteran who served in U.S.A.F. as a member of an aircrew. His background includes positions in instruction, banking, construction and development. Mr. McHugh is a field consultant for business development at present. He is a member of the the Schemel Forum, serves on the Advisory Board of the Friends of the Weinberg Memorial Library, and is an active member of the Luzerne County Historical Society. 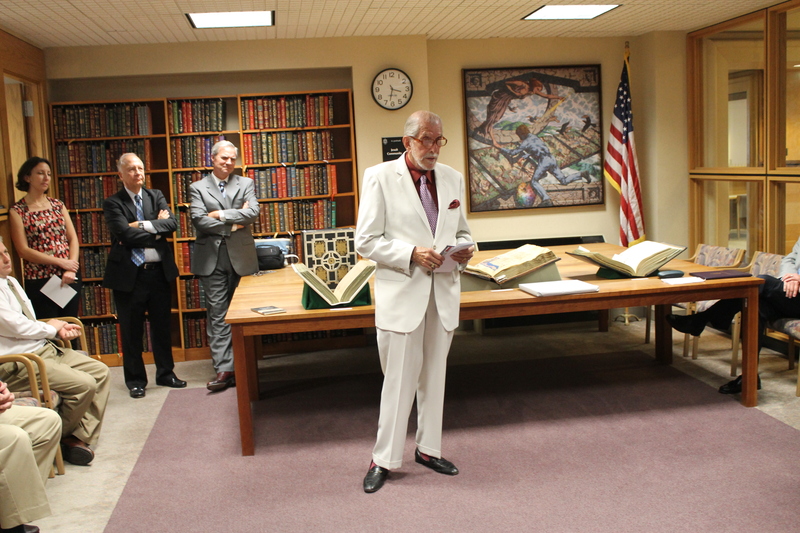 The ceremony concluded with remarks by Provost Donald Boomgaarden, Ph.D., which included a brief musical interlude when he sang from the Library’s 14th century illuminated Italian choral book. 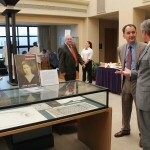 Following the dedication, there was a reception in the Heritage Room, where there is an exhibit on display of “Highlights from the Helen Gallagher McHugh Special Collections.” The exhibit runs through September 25th.